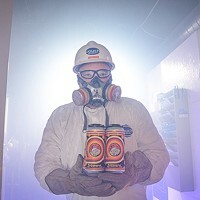 How does a brewer stand out in the marketplace when his brewery is a one-man operation, and its products are sold only in a handful of places in Beaver and Allegheny counties? Simple, says Dan Woodske of Beaver Brewing Company: "Make the beer taste good, but make it unique." Woodske's Patterson Township operation is a "nanobrewery": With a brewing capacity of just 1.5 barrels, it's so small that even the word"microbrewery" doesn't apply. But it is committed to offering something unique -- like Woodske's "Basil" Amber Ale, in which a pound of fresh basil is steeped in the beer as it cools. The result is a beer ($10 per growler) whose bouquet evokes grandma's tomato sauce. Or try the kvass (pronounced "ka-VASS"), a traditional Russian bread beer that sells for $7 a growler. 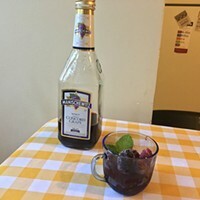 Woodske follows the classic recipe almost exactly: old rye bread; a bit of malt; lemon peels; a "Dixie cup" of hops; and raisins. Like the original, the mixture is barely boiled: At a mere 1.8 ABV, it's barely even beer. But the wheaty concoction is refreshing and citrusy, with a hint of hops. Woodske sells it only on the premises. 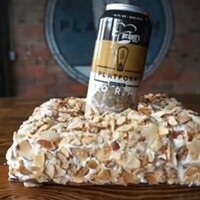 While kvass isn't for everyone -- few American breweries make kvass at all -- Beer Advocate currently ranks Woodske's version as the world's best. 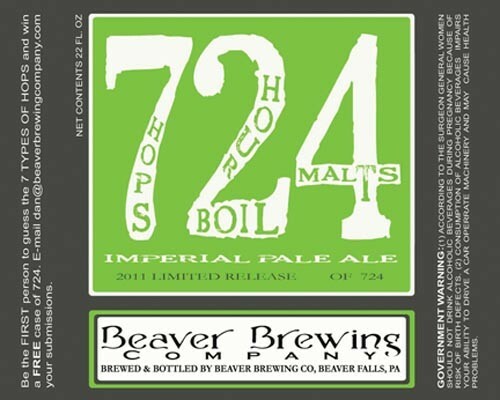 Later this year, Beaver Brewing Company will offer a limited-release "724" Imperial Pale Ale, named for Beaver County's area code. It also reflects the beer's alchemy: seven different hops, boiled for two hours in four types of malts. The first person to guess the seven different hops will win a case of beer. But Woodske plans to make only 724 hand-numbered bottles. So if you're interested, you better reserve a few now (dan@beaverbrewingcompany.com). Woodske sells most of his beer in glass-jug growlers on the first weekend of every month. (Friday: 6-8 p.m.; Saturday: 11 a.m-2 p.m.). With such a small operation, he says, "Everything I do is limited."